A few weeks ago I was sent a crate of Alhambra Beer. Alhambra is a new brand to me but not a new brand. In fact they have been producing quality beers since 1925. The Alhambra brewery was founded in Granada in 1925 and is named after the city’s magnificent Alhambra Palace. Not normally a beer drinker I assumed they would be eagerly consumed by my other half but I guess there is a big difference between a basic beer and a quality craft beer and I really liked it. The bottles are stylish too and wouldn’t look out on place on a dinner table although we enjoyed most of ours outside or lounged on the settee with tapas to watch a movie. 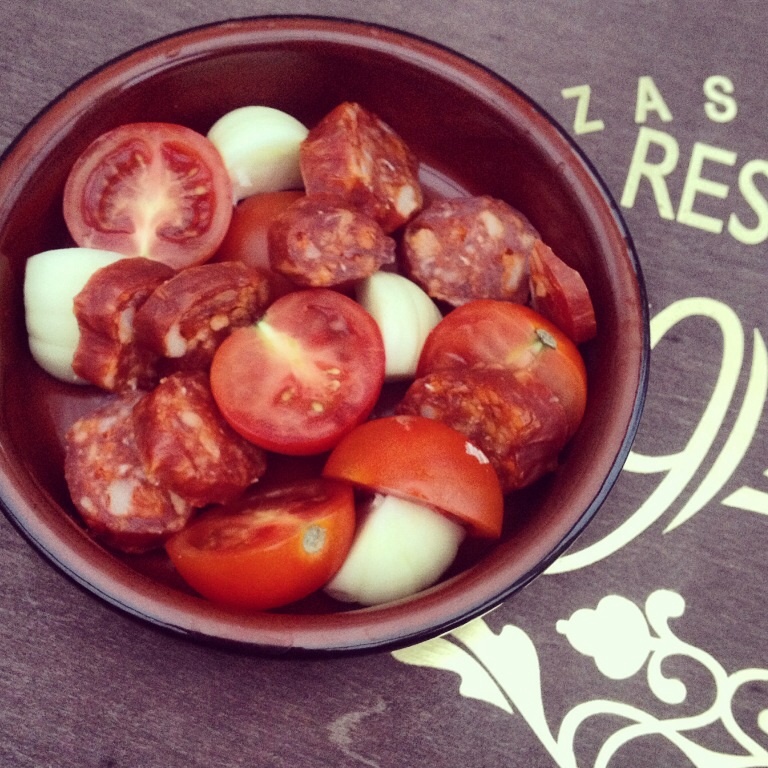 I love Tapas – for those of you that haven’t tried them, they are simply small dishes of food. Perfect for sharing and it means you get to try lots of different dishes. 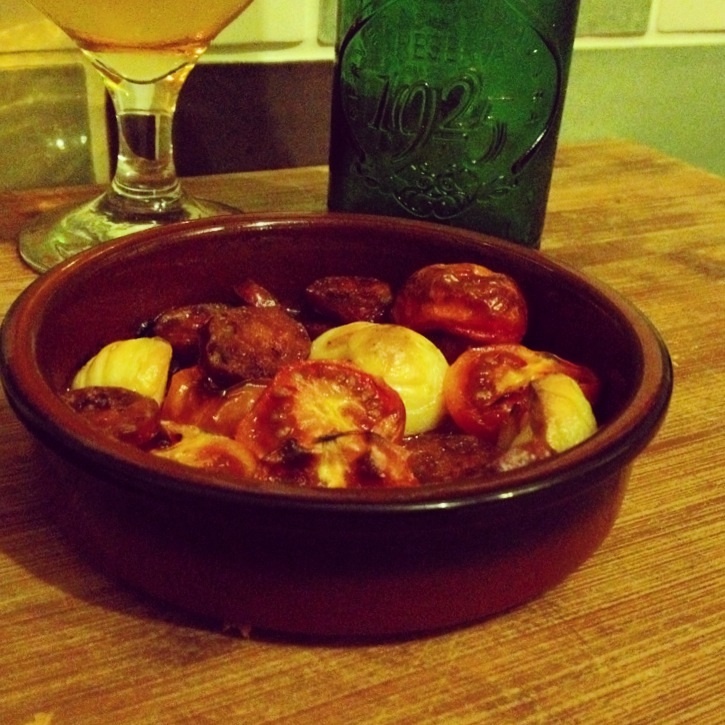 I created this easy tapas recipe last night to accompany our beer. Share the ingredients between two tapas dishes or ramekins. Bake at 200C for 25 minutes, giving a small shake halfway through. 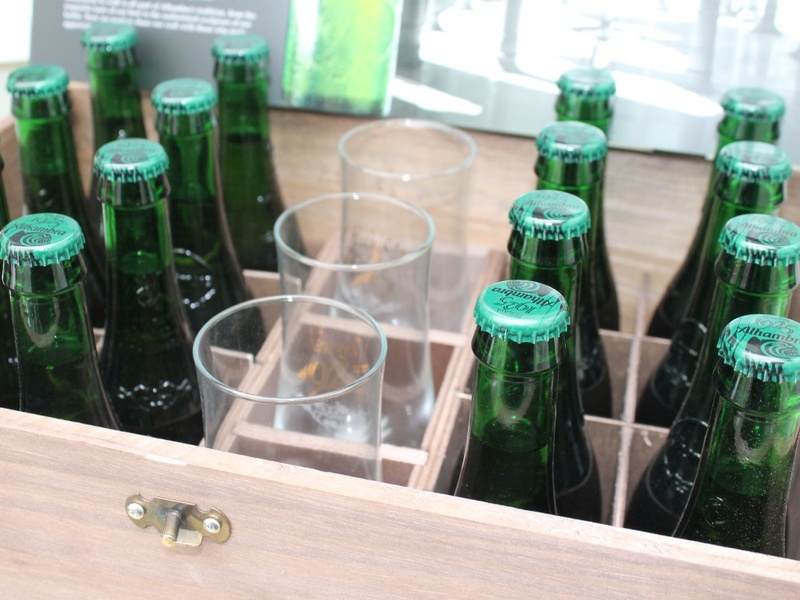 Now how would you like to win a crate of Alhambra Beer with some stylish glasses? * I was sent a crate of beer to try. Patatas Bravas is my fav. Adding it to the Food Blog Diary for you. I am going to Palma next month, bring on the tapas! Oh yes! I have worked in both Spain an Portugal so had the pleasure of having them lots of times in traditional tapas restaurants! I have never heard of Alhambra beer but it sounds good and the create looks lovely as well. I I like some dishes , but not Spicy ! I like tapas as long as it isn’t anything too spicy! Love most tapas – some are just too spicy for me. Absolutely! Nothing better than a big spread of tapas and a group of friends. I’ve never tried them – though I might try that recipe as it’s so easy and sounds delicious. Yes i love tapas 🙂 yum!! I love tapas! Chorizo, gambas, albondigas, patatas bravas – bring it on! I’ve always been a bit scared to try a lot of tapas dishes as I’m unsure of it, but I always have tortilla, I love it! I love tapas – especially tortilla!